If you purchase fuel for your business or home; red diesel, diesel, kerosene or furnace fuel you’ll be well aware that it doesn’t last forever and at some point, you’ll have to top up your fuel to keep things running smoothly. Unfortunately, we mere human beings aren’t renowned for our x-ray vision and unless you have some super-powers of a similar ilk, then you may struggle when looking beyond your bunded storage tank at the current fuel level inside. Here at Crown Oil, we have over 65 years of fuel and lubricant experience which means we not only know a lot about the products we supply but, we also know a lot about fuel management and keeping your business fuelled! 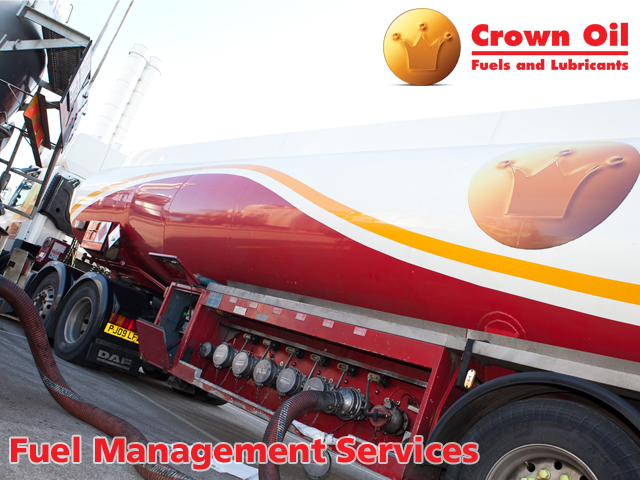 One of the main problems with choosing a service is the cost of it to implement and maintain but, with Crown Oil’s fuel management service you don’t have to pay a penny! How Much Do Fuel Management Services Cost? Our fuel management service is designed to keep you from running out of fuel whether it is a bad time or not. Unfortunately, you can never predict a run-out nor choose when it happens and so, having the professionals monitoring your fuel levels and topping you up as and when you need it means you’ll never have to worry about a run-out occurring ever! Fuel management services can vary in price however, a large fuel company should be able to manage your fuel free of charge! At Crown Oil, we offer fuel management services completely free of charge. Which Fuels can be Monitored And Managed? The main fuel type which we manage is red diesel (gas oil). The reason for this is that red diesel is generally used in backup generators and it’s imperative that a run out doesn’t occur. We monitor fuel levels and organise deliveries to ensure your fuel levels are kept to an acceptable operating level. Before your red diesel fuel runs dry, why not find out more information about fuel management? The power of your business depends on the fuel that drives it forward and without machine fuel, equipment and fleet fuel, your business would surely come to a halt. Below are several reasons why having your fuel managed by a professional oil company is advised for peace of mind and smooth running operations. No More Running Out Of Fuel – The first and most obvious benefit is that you won’t run out of fuel with our management services. This means that no matter what happens in business, you’ll always be prepared and topped-up. Less Risk To Equipment – Storing fuel isn’t always safe for equipment and machinery if it is left to stand for long periods of time. Using a fuel management service ensures you’ll be a lot less likely to forget about your fuel and allowing it to become contaminated and potentially damaging your machinery. Save Money on Fuel – Fuel can be an expensive part of operating a fleet and machinery so it makes sense to save money where possible. Utilising a fuel management service for your diesel, red diesel, kerosene or industrial heating oil then you can also make sure fuel is delivered on a regular basis rather than in emergencies! You can take advantage of our fuel management services today by contacting our team. Whether you’re just enquiring or convinced to go ahead please call us today on 0845 313 0845 to see how we can help your business.